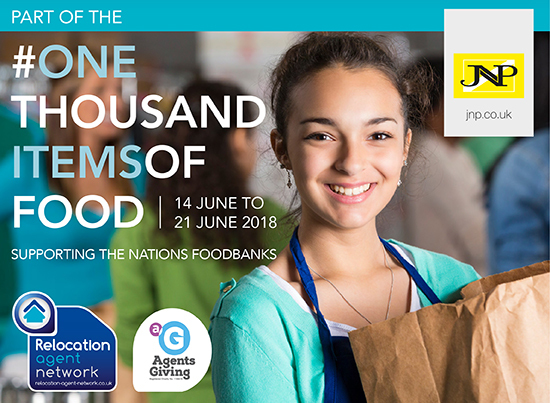 From 14th June to 21st June all of the JNP branches will be collecting items of food and other supplies for the One Can Food Bank in High Wycombe. This is a campaign set up by the Relocation Agent Network, which JNP are a part of, and their charity Agents Giving. The campaign is to increase awareness of local foodbanks and getting the local community involved in supporting them now and in the future. On behalf of One Can Food Bank, The JNP Partnership, Relocation Agent Network and Agents Giving thank you for your help and support.